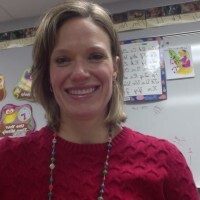 My name is Jennifer Fink and I am a special education teacher. I offer specialized instruction and materials that may not always be presented in the regular education classroom. My students receive instruction in a small group setting which helps them to be more successful in school. I love building a rapport with my students and watching them build their confidence and skills throughout the year.